Point2 Homes gives you far more than a simple list of houses for sale. 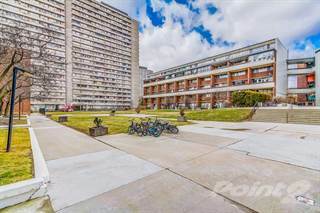 Get instant access to a lot of relevant information about Flemingdon Park, Toronto, ON real estate, including property descriptions, virtual tours, maps and photos. The search results pages also have a wealth of information on Flemingdon Park, Toronto, ON, if you scroll all the way down. There are 26 houses for sale in Flemingdon Park, Toronto, ON. Searching homes for sale in Flemingdon Park, Toronto, ON has never been more convenient. With Point2 Homes, you can easily browse through Flemingdon Park, Toronto, ON single family homes for sale, townhomes, condos and commercial properties, and quickly get a general perspective of the real estate prices. Also, you’ll never miss a bargain if you filter listings based on house price drops in the past six months. 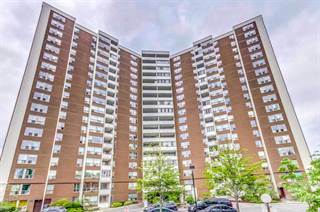 Use the map view to find Flemingdon Park, Toronto, ON homes and apartments for sale, based on amenities or city features that you may want close by. You can close in on a specific neighbourhood or area by simply drawing around them with the polygon or radius tools. Stay informed about the latest entries on the real estate market by saving your searches. This way, you get new listings in your inbox, daily or every week, based on your preferences. If you’d like to get in touch with a professional, agents are displayed next to their listings, and they’re easy to contact through the online forms. If you want more options, you can click the Tools tab and Find an Agent, and you’ll get a list of helpful and knowledgeable real estate agents in Flemingdon Park, Toronto, ON. Visit the Point2 Homes blog and you can find up to date expert advice on many markets throughout Canada, regular market reports, neighbourhood scoops in cities throughout the provinces, real estate deals and useful recommendations. Flemingdon Park is a neighbourhood in the eastern-central portion of Toronto, Ontario. Over the past 10 years or so, this has been one of the up-and-coming neighbourhoods in the city of Toronto. In the past, crime was an issue in Flemingdon Park, but as more and more successful middle-class families move to the area, it has steadily improved. Flemgindon Park is located south of Eglinton Avenue East. All three of its other borders are defined by the Don River. The river has an East and West branch, and everything located South of Eglinton between the two branches is in Flemingdon Park. The point where the two branches diverge is the southern boundary, which creates a triangular neighbourhood. Flemingdon Park is one of the most natural neighbourhoods in the city. With the river bordering three sides of the neighbourhood, and massive amounts of parks and green space, the neighbourhood feels removed from some of the relentless steel and concrete that you find in the rest of Toronto. The multiculturalism that Toronto is so well known for is readily apparent when you visit Flemingdon Park. For many years, when new families first came to Canada and immigrated to Toronto, Flemingdon Park with its affordable housing was where they would move. It is estimated that over 80 different languages are spoken within the neighbourhood. Flemingdon Park is by and large quite a poor neighbourhood. Despite the slow influx of middle class citizens, it is still largely populated by people earning low incomes. Most of the homes are modest. Large, simply adorned condo and apartment complexes are common in order to provide affordable options for those who want to call the neighbourhood home. One of the most visited tourist attractions in the GTA lies in Flemingdon Park. The Ontario Science Centre is one of the attractions that tourists can visit at a discount by purchasing a Toronto CityPASS. In addition to its science displays and exhibits, the Centre is also home to an IMAX OMNIMAX Dome. The Valley Marketplace Restaurant is also located in the Science Centre. Flemingdon Park is also the name of the largest park within the neighbourhood. In addition to ample green space, the park contains ball diamonds, multi-purpose sports fields, basketball courts and other recreational facilities. Playground and splash pads for the children are also popular during the summer months. The green space in the neighbourhood is used for other purposes as well. The Flemingdon Park Golf Club offers up a 9-hole course right in the heart of the city. The multicultural neighbourhood has a number of excellent ethnic restaurants as well. Kim Po Vietnamese Restaurant, Afghan Village and the Kabul Tehran Restaurant are all excellent options. 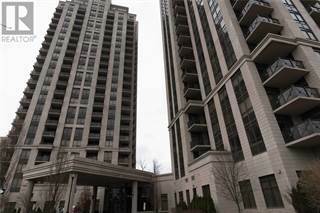 Most of the homes available for sale in the Flemingdon Park area are in condo buildings. These units are available in a wide variety of price points, but there is more affordable, low-cost housing here than in much of the rest of the city. Detached homes in the area go for significantly more than the average condo suite. The large amount of parkland in Flemingdon Park helps a great deal with air quality in the region. The Don River that flows around the neighbourhood is still struggling with pollution issues. Although many efforts have been made to clean up the river, it is still relatively highly polluted. There are several high traffic streets that are quite noisy in this area. Eglinton and Don Mills are both thick with traffic. The Don Valley Parkway also cuts through the centre of the neighbourhood, and is one of the busiest freeways in the GTA. Crime is still a concern in Flemingdon Park. However, it has been on the decline over the last decade. In 2011, it was right in the middle of the neighbourhoods of Toronto in terms of assaults per capita. While the average person is quite safe, drug related arrests have been more common here than in much of the city. Flemingdon Park has a number of schools to accommodate the residents of the neighbourhood. The Marc Garneau Collegiate Institute is a multicultural school with a wide range of extra-curricular activities, ESL classes and a strong focus on science. Valley Park Middle School, Gateway Public School, and Grenoble Public School, provide public schooling options for the children in the neighbourhood. St. John XXIII Catholic School is also located in Flemingdon Park. Public transportation as of late 2014 in Flemingdon Park is quite scarce. There are bus routes through the area, but there is no easy access to the subway. However, this will improve in the future. The Eglinton Crosstown transit system is currently under construction, and will include stops at the North end of Flemingdon park. Once this is complete, residents will have much better access to the rest of the city via quick public transit. Service on this route is predicted to begin in 2020. Many immigrant families who first arrive in Toronto find themselves in Flemingdon Park. Good schools and affordable housing certainly make it a good option for families getting started in Toronto. The playgrounds and sports facilities in the parks provide easy access to activities for kids that might be more difficult in other parts of the city. According to the City of Toronto’s data, there is a strong family presence in Flemingdon Park. Almost three times as many households have children living at home compared to those that do not.